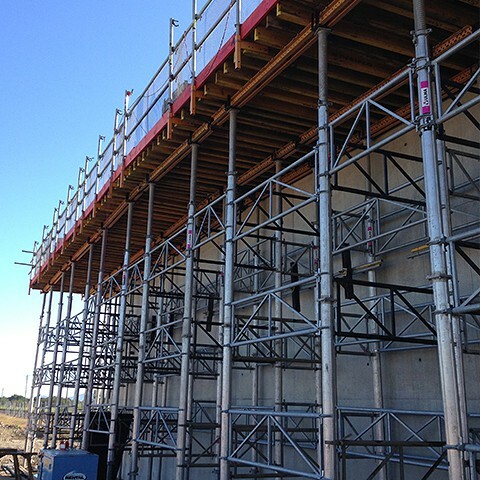 The ALUPROP system consists of aluminium props and bracing frames designed for the shoring of horizontal (i.e. slab) formwork. 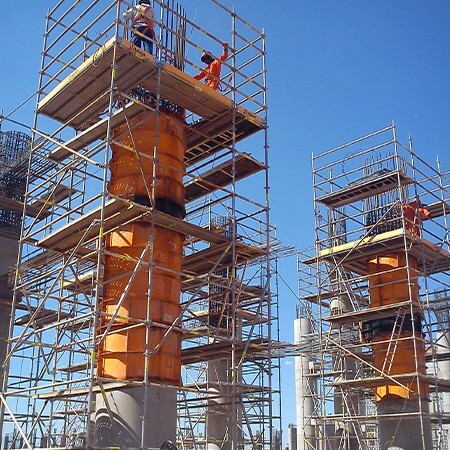 The ALUPROP system can be used as an independent propping system or combined with bracing frames to form shoring towers. 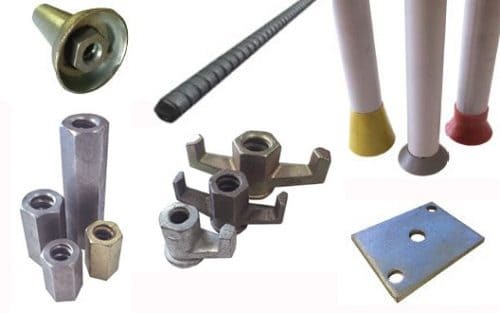 The versatility of these aluminium props offers many project applications. Inner tube is protected against unintentional disengagement to assure it cannot slide out of the outer tube. Easy and quick length adjustment. Maximum height with single prop: 6m (7m with a 1m extension). The prop can be braced. Bracing frames are easily fixed to the outer tube of the prop with bracing hooks and wedges already built-in to the bracing frame. Possibility to gain height by placing prop on prop which can be connected with ALUPROP clamps or with bolts. Suits assembly of very high shorings. 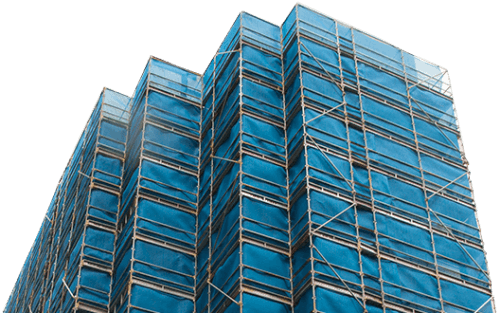 The possibility of installing working platforms eases the erection of shoring structures and the handling and placing of the formwork at the top of the structure. 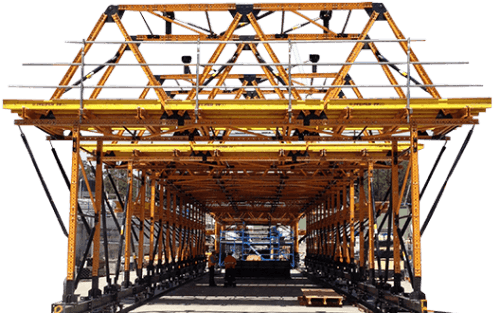 Shoring structures can be assembled in horizontal positions on the ground and subsequent lifting and placing with a crane. Enables ergonomic and safe working conditions for workers. Self cleaning thread (cleaning off the concrete and dirt on the thread). Shoring of cut-and-cover tunnels with the ALUPROP system. CC-4 can be shored with braced ALUPROP. 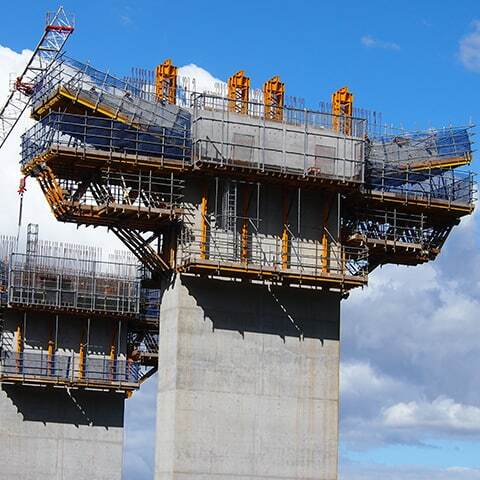 The ALUPROP system props and supports tower formations. The maximum height of a single prop without bracing is 6m; a 1m supplement can be connected to reach 7m, hence the ALUPROP system suits the assembly of very high shorings.